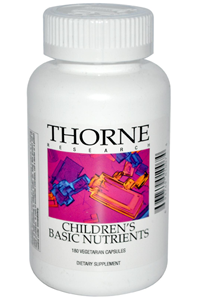 Basic Nutrient capsules by Thorne Research are the ideal way to supplement your child's diet with a dose of important vitamins and minerals. Their versatile capsule form means they can be taken whole or split and sprinkled into food (like yoghurt) meaning they don't need to be chewed like so many other acid-rich chewable multi-vitamins. 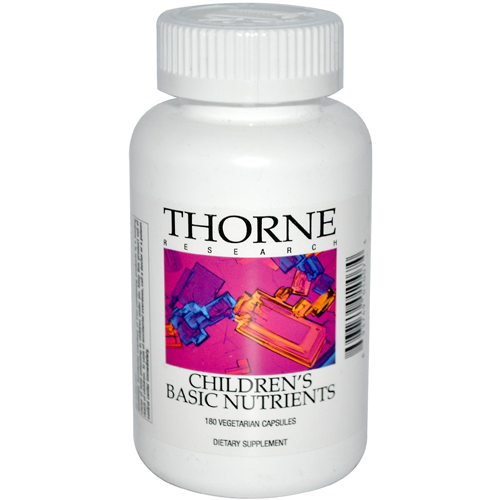 For children four and older: Take 2-6 capsules daily or as recommended by your health-care practitioner. Accidental overdose of iron-containing products is a leading cause of fatal poisoning in children under six. Keep this product out of reach of children.